The 1950s marked the beginning of a major extension of the range of ordinary incandescent lamps with bulbs having new shapes and finishes, purely for decorative applications. It was the goal of the lamp manufacturers to add value to their products so as to earn better margins, such as were being achieved by their colleagues in the luminaire business. 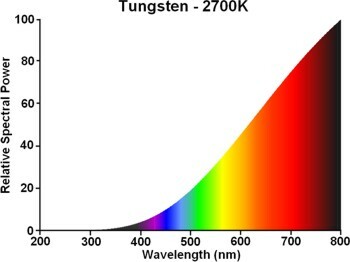 GE pioneered the introduction of ceramic glazes fired into the bulb surface in 1946, which allowed ordinary mass-produced bulb shells to be economically coated with a coloured finish. 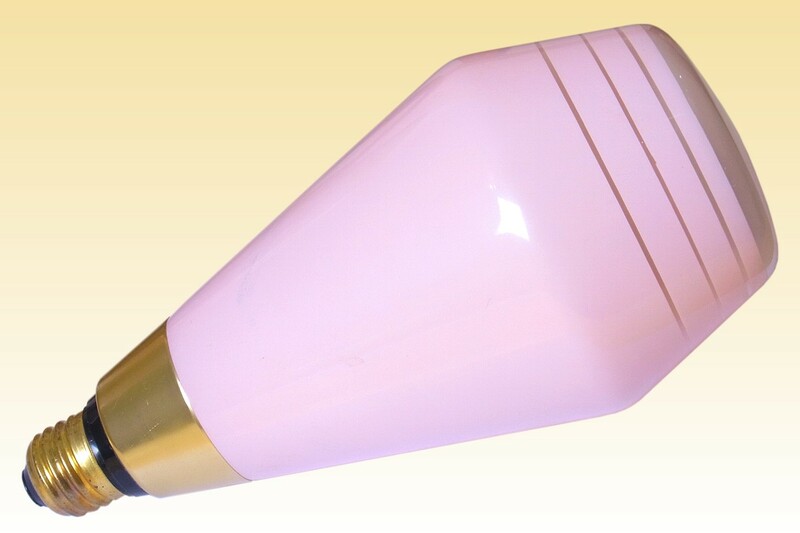 It was first launched in the Deluxe Pink colour, to deliver a warmer light for residential interiors. It was not enough though to add significant value - consumers would still hide the lamp away inside a decorative luminaire. 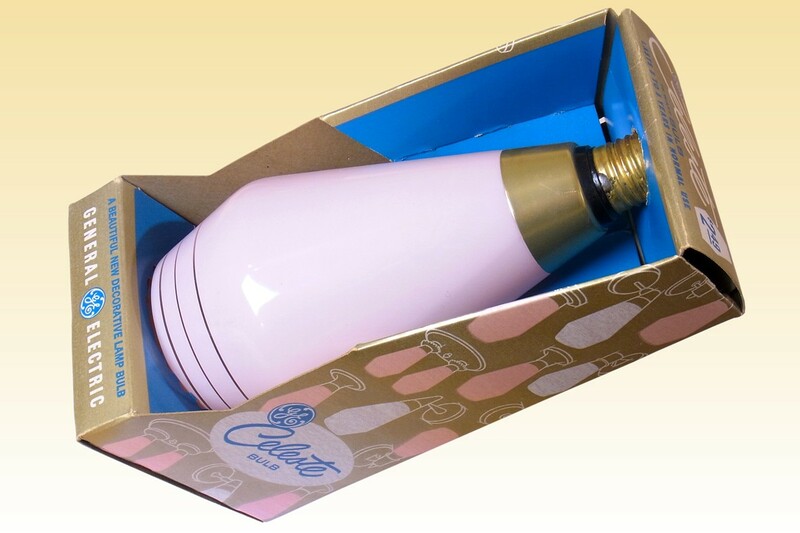 Following this realisation, lampmakers began to experiment with more decorative shapes so as to inspire the use of bare bulbs, and in the early 1960s GE launched this so-called "Celeste" lamp. Its design was inspired by similar European developments of Philips and Oy Airam. Rather than applying a flat colour to the whole bulb surface, only the sides are coloured and it features a decorative pattern of concentric rings. 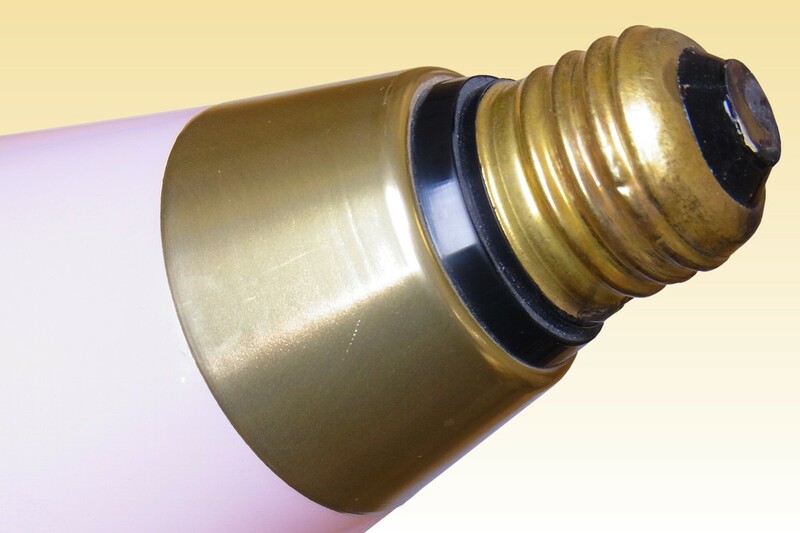 The whole inside bulb surface is acid-etched to produce a diffusing effect, and the bulb crown is not coated. This delivers a soft glare-free light downwards with relatively high efficiency. The result is an elegant lamp whose efficacy is not significantly reduced below that of the ordinary inside-frosted lamp. 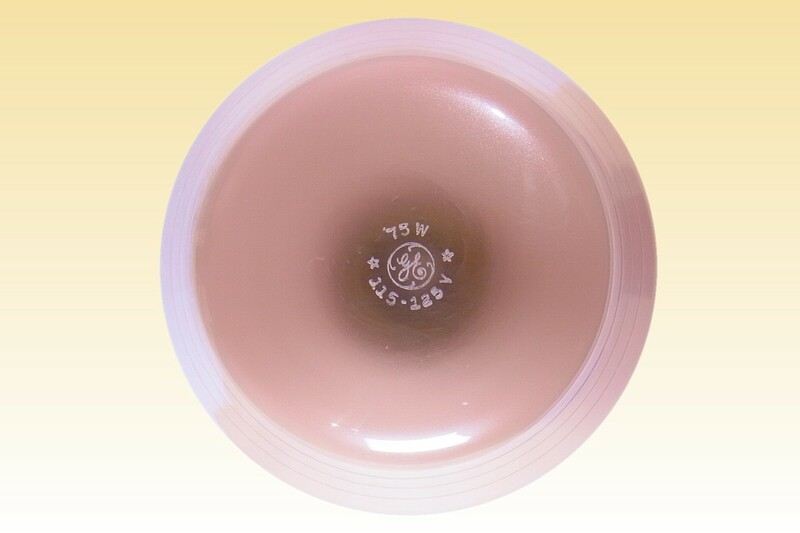 While this bulb shape proved to be popular for the European manufacturers, its style was not a success in the Americas and within a few years it had been discontinued by GE.